Given the amount of detail, particularly in the houses, this was my most difficult project to date. In total, I probably took about 200 hours to create this piece. 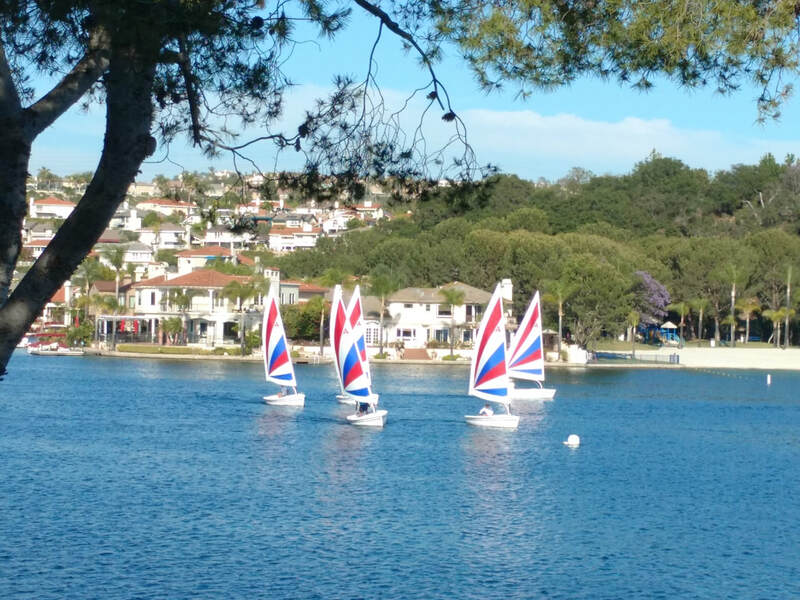 Sitting out on the patio at Peppino's restaurant at Lake Mission Viejo one afternoon I watched as a group of would-be sailors were getting a lesson. 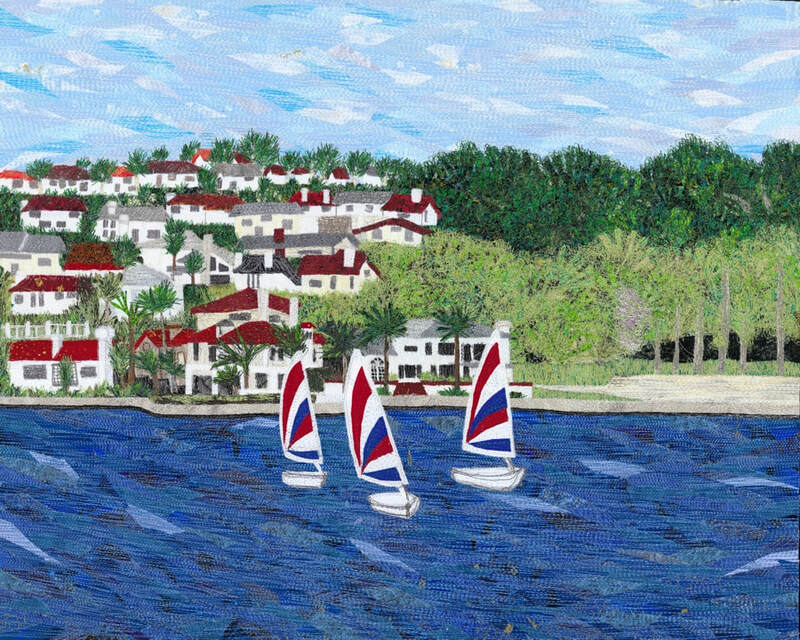 There were several boats out that day and they were all gracefully tacking back and forth on the lake. I started shooting photos with my phone. It was a perfect Southern California day. The one below was my favorite of the bunch.